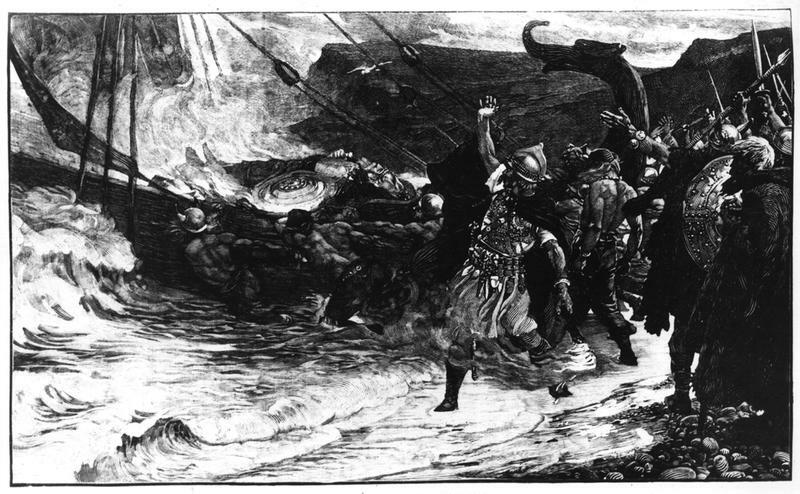 Usually, when we think of a Viking funeral, we think of sending a body out to sea in a burning boat, but that is just a myth. The bodies were generally burned, but on land in a funeral pyre. Once the body was reduced to ashes, the ashes would be taken out to sea, but not on a burning boat. Boats were too valuable to be used in that way. Only the highest ranking Vikings may be privy to such a funeral. 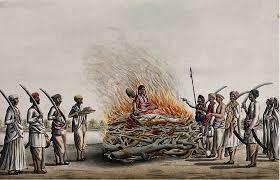 Sati was a funeral ritual practiced among Hindu communities. It involves widowed women sacrificing themselves on their husband’s funeral pyre. Sati is described as voluntary; however, some women were forced onto the fire. Other forms of Sati include being buried alive with her husband’s corpse and drowning. Sati is thought to have started to prevent wives from killing their wealthy husbands. Another idea is that it was a way for the couple to enter the afterlife together. Today, Sati is outlawed in India, but it still happens in some Hindu communities. The ‘Turning of the Bones’ ritual has been around for centuries. 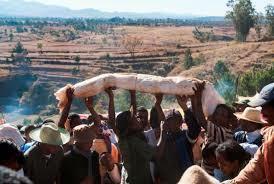 The people of Madagascar hold Famadihana every five years. The Malagasy people exhume the bodies and dress them in new clothing. They believe that the spirit of the deceased joins their ancestors at this time. Then they dance with the bodies and celebrate the spirit. Tibetan Buddhists practice Sky Burials. 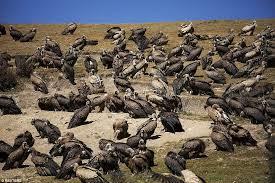 The deceased body is dissected into small pieces and left for vultures and other animals to devour. Buddhists believe that the dead body is just a vessel for the spirit, which once dead is just an empty vessel. They do not commemorate the body. Practiced by Japanese Buddhist monks, self-mummification was intended to demonstrate spirituality. Priests would begin by only eating nuts and seeds for 1,000 days, trying to get rid of all fat from their bodies. The next 1,000 days they would eat bark and poisonous tea so that maggots would not infest their bodies. 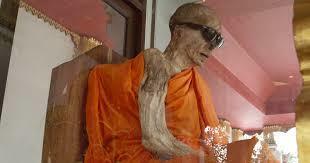 The last part of the mummification process was sealing the monk up in a stone tomb. They would have an air tube and a bell. The monk would ring the bell once every day to let those on the outside know they were still alive. Once the bell ringing stopped, the tomb would remain sealed for another 1,000 days. Then the mummified priest was taken out and put on display. In New Guinea, the Dani tribe would cut off their own fingers when a loved one died. When the oldest male of the household passed away, all women and children related to him had to cut off fingers. Before cutting them off, they would tie a string around the upper half of their finger for half an hour to numb it up. 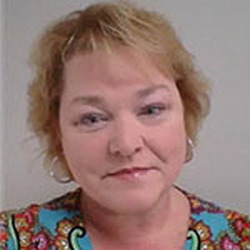 A close family member would cut the finger off with an ax, then cauterize the raw end. This ritual is done to symbolize the pain of losing a loved one. 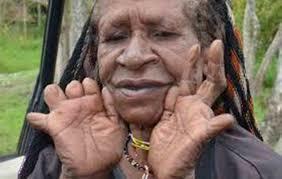 The Dani people also believe it pleased and chased away spirits. The finger bits were dried and burned to ashes to be stored in a sacred location. This practice is now banned.